It was another intensive day of learning on day two of the Digital Intensive Fluency Course. In connecting with the Manaiakalani kaupapa and pedagogy this week we looked at the "Learn" part of "Learn, Create, Share". Fiona explained that there is not just one way of "Manaiakalani learning". It looks different for each school because of the special character of each school. Some schools serve a specific age group, for example primary level or college, while others are special education or special character schools. Not only are the schools different but they also serve different communities so one learning style will not fit all the Manaiakalani schools. But the common connection is the digital nature of the learning and the access we have to a digital learning environment. It is not just the 9 to 3 learning in one place but learning is "any where, any time, any place". To implement such a programme it is not enough just to have expensive digital equipment. It requires major changes in teaching practises. Existing quality programmes need to be re evaluated. What is effective needs to "amplified" and "turbocharged" to promote student learning. Teacher actions will promote student learning. Students learning is so much more visible in the digit world on their sites. Teachers are able to provide sufficient opportunities to learn not just once but students can revisit and be reminded of the learning or the tasks. Feedback is quickly provided and a teacher can look at what the students are sharing, listen to recordings the students have made or see how long they spend on a document and if it is more than the required time see if they need help. The students are able to access their learning immediately so there is an efficient use of learning time. So what does learning look like in our schools? Fiona felt that if there was one magic silver bullet it would be effective teachers not devices. So in the evaluation of the Woolf Fisher research what is common to all the schools that has resulted in shift and how can we share these pockets of success and spread it around? When we started digital learning there was some substitution for example a device for paper and pencil but now we need to move beyond this and redefine how technology can support learning. We need to use these amazing tools to provide solutions to problems and opportunities for new ways of learning so that our students have a voice and they can move beyond the classroom environment and join other and learn from them. "If its worth teaching, its worth capturing." "If its worth learning, its worth capturing." Fiona's presentation had many important points for me to ponder on about how I can use technology to support my teaching and therefore enhance my students learning in my class as well as in our team. Then we moved on to looking at the uses of Goggle maps and how maps can be integrated into many learning opportunities to enhance students learning. Tips were shared as to how Google maps can be useful in our personal lives from finding your car in a carpark or to tracking your journey for your family. I could immediately see ways I could use Goggle forms when we looked at the making and use of such forms. It could be used to get children to learn basic facts and number knowledge using technology. I made a simple form on which my students who are having trouble with the concept of "before" could practise this using a number line. Using Goggle spread sheets to display and analysis information would be a great digital way of displaying the information we put onto 5 week reading graphs that are presently on paper. This could be manipulated and used in different ways to evaluate the effectiveness of our teaching. It could also be a way of displaying other information we keep on the children's progress such as alphabet letter identification or words learnt over a period of time. I hope to be able to make some spread sheets to use this information over the next few weeks. Fiona also mentioned if we needed help in remembering any of the tips on freezing cells, adding totals, to format dates, hiding columns and autofilling columns there is a good Goggle Help centre. When Fiona was talking about learning being rewindable I thought about our DMiC maths lessons and how the children often needed reminding of what the story is telling us. To get the children to actually record what they need to do on their iPads and then to be able to listen to what is required might help focus some of the learners who need to be refocused. We also looked at how to analysis data and create a graph using data gained from a student's blog. I looked at how many blogs were done over a series of years as well as when the blogs were done within one year and created two graphs to show this information. The first graph shows how the number of blogs was a lot more intensive in the first two years of blogging and then tailed off. This might be due to a variety of reasons and such a graph could be a starting point to discuss with the student how they could be helped to keep up the number of posts. In the second graph I looked at when the blogs were posted to see if there was a pattern over a year. Again this could be an important graphic to show a student and remind them "that their voice has value" and they needed to keep their voice alive. All in all a very intensive day but a very valuable day of learning and thinking about how to use technology to enhance our student's learning and our own practise. It sound like you had a great day and learnt a lot. I really enjoyed reading your blog post. I particularly like your thoughts around the recording of DMiC as this is something I have also been thinking about and would love to work together on if you are interested. I look forward to seeing all you have learnt it action. 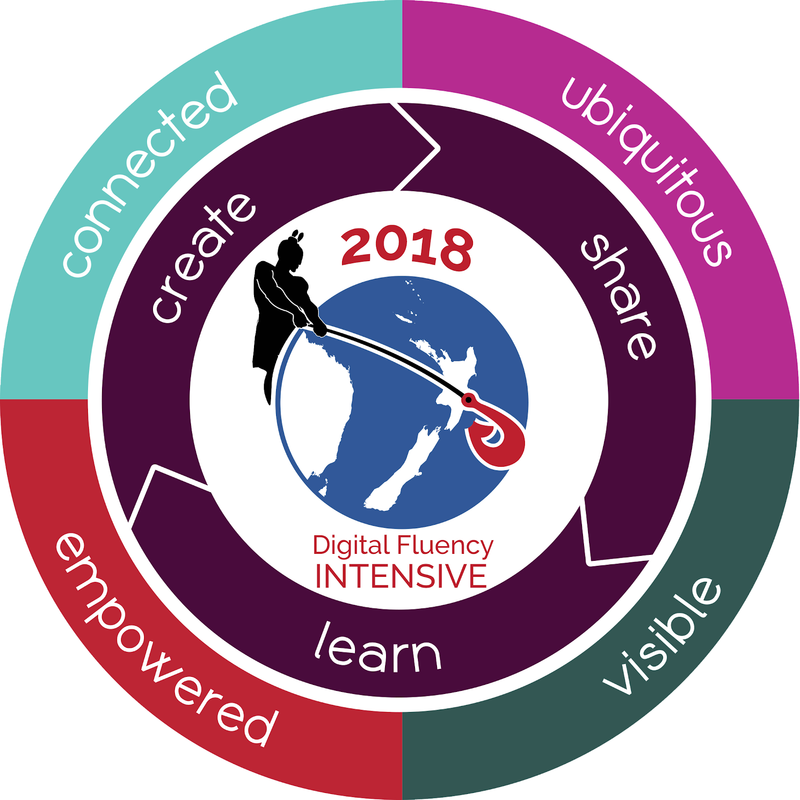 It sounds like you have some amazing learning opportunities at Digital intensive fluency. You have created yourself a fabulous rewindable learning resource here Susan. There is so much content shred on a DFI day that if you don't capture the detail as you have done here I don't know how you would remember it! W was surprised you do not use spreadsheets currently for your 5 week reading graphs - have your colleagues who have been doing this for years been keeping a secret from you :) You are right that it is a much more powerful way to display, manipulate and preserve the information. You have captured the day of learning well. I do believe that when we started with the digital learning there was some substitution for paper and pencil, actually lots in my case, and that now we need to move beyond this and work out how technology can support learning. I remember our teachers who embarked on this journey telling us we had too many apps on our i-pads and how annoyed I was when the apps were cut down, but now I see what they were talking about. I agree with your statement about using these tools to offer exciting new opportunities for our students.